Looking for a career? Are you a friendly, customer service-oriented individual who takes pride in a job well done? At Cool Care Heating & Air, we’re looking to add career minded individuals like you to our growing team of HVAC technicians. 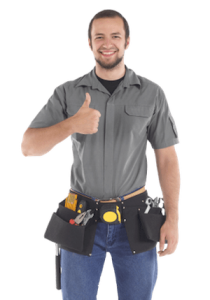 At Cool Care Heating & Air, we’ve been providing exemplary heating and air conditioning services since 2001. We’re proud to serve the Columbia, South Carolina, community’s needs for reliable, dependable and affordable HVAC services. In order to deliver the best possible level of customer service, we ensure that every technician receives NATE (North American Technician Excellence) certification and factory training by the Bryant Corporation. We encourage all of our team members to keep up with the latest in trends and technology in the HVAC industry. To do so, we make it easy to participate in ongoing training and educational programs. We treat every customer’s call as a chance to provide top-notch service. 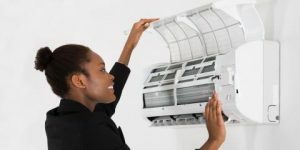 We help our HVAC technicians to be tech-savvy and client-focused to ensure that each customer stays with us whenever they need a heating or air conditioning maintenance or service visit. Our high standard for customer service is one of the most important reasons why our business is growing. If you would like to join our team of dedicated professionals, please download, and fill out our online application. Once you have completed it, please email it to office@coolcare.me. Our team will review your application and contact those with the appropriate qualifications. If you have any questions about your application, call us at 803.772.7715. We look forward to having you join our friendly and professional team.